The NCTE Schools broadband rollout has seen a dramatic improvement in connection speeds for Schools countrywide in recent years. However, if an effective Wi-Fi network is not in place, then Teachers and Students may see little benefit to the broadband upgrades. A to Z work with a number of Wi-Fi Manufacturers to develop the most efficient and high performing Wi-Fi network to suit Schools of all sizes. Many Schools have managed to date with quite basic Wi-Fi setups which can cater for perhaps 10 users per Access Point. However, with the use of technology in the classroom growing every year, a more effective Wi-Fi solution may be required. 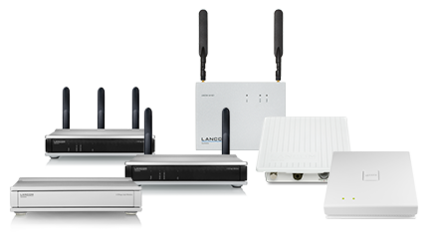 By working with two of the main Wi-Fi manufacturers in Lancom and Ubiquiti, we can customise a suitable Wi-Fi solution for your School, from a 1 or 2 teacher National School up to a 1000+ Student Secondary School. We offer a free on site survey of your current Wi-Fi setup so we can provide feedback on current performance, bottlenecks and suggested improvements. We can design, verify and troubleshoot Wi-Fi effectively with industry leading (Ekahau) site survey tools. Ekahau provide the first and leading laptop-based Wi-Fi site survey and planning tool. Producing crystal clear heat maps and easy-to-use reports, making it simple to optimize Wi-Fi. Our survey tools allow you to plan and create Wi-Fi networks according to your performance and capacity requirements; taking into consideration the increasing amount of wireless clients and applications such as VoIP, HD video streaming and web browsing. 700 + Tablets and Laptops. Including 1 to 1 tablet device support for Junior Certificate Students. Ubiquiti Wi-Fi installed in 2016 throughout School, providing affordable high speed Wi-Fi for over 200 students. Contact us on info@atozcomputers and we can arrange a Free Wi-Fi Survey of your current network.